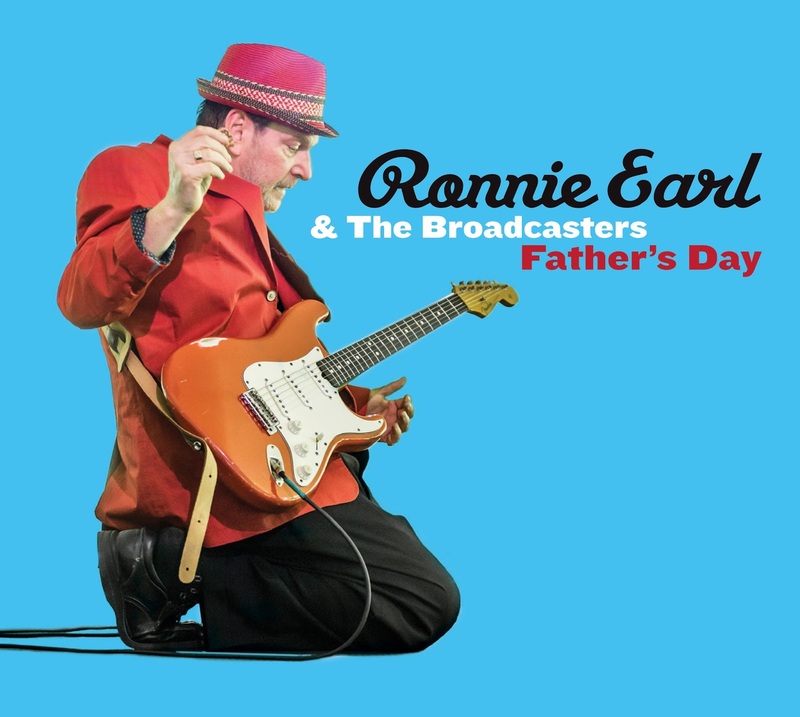 EDMONTON, AB – Stony Plain Records proudly announces the release on July 17 of Father’s Day, the new CD from Ronnie Earl & The Broadcasters. Voted by The Blues Foundation as “Blues Guitarist of the Year” in 2014, guitar master Ronnie Earl and his band return with an even stronger package of music, his ninth album for the label. Added to Ronnie Earl’s spellbinding intensity and soulfulness on guitar, the presence of a horn section for the first time in decades on Father’s Day adds another dimension to his sound. Stony Plain also plans to release the album as a vinyl LP later this year. The 13 tracks on Father’s Day also feature two special guest vocalists throughout: Diane Blue, whose previous work with Earl created a sensation; and Chicago-based Michael Ledbetter, best known as lead singer of the Nick Moss band. Ledbetter is also a distant relative of the iconic Huddie William “Leadbelly” Ledbetter, whose 12-string blues style has influenced generations of blues, folk and rock musicians. On Father’s Day, he is joined once again by The Broadcasters (Lorne Entress – drums, Dave Limina – keyboards and Jim Mouradian – bass), his band of over 25 years, whose sound perfectly meshes together like a hand-in-glove. Produced by Earl and recorded at Wellspring Sound in Acton, Massachusetts, the album also features guest guitarists Nicholas Tabarias (who also worked on his last CD, Good News), Tim O’Connor and Larry Lusignan; as well as a horn section of Mario Perrett on tenor sax and Scott Shetler on baritone sax. Any day a new Ronnie Earl album is released is cause for celebration, but on Father’s Day, he and the band truly create a new blues holiday. For more information, visit www.ronnieearl.com and www.stonyplainrecords.com.